You'll be £14.99 closer to your next £10.00 credit when you purchase El Salvador. What's this? The twelve-year guerrilla war in El Salvador – the smallest country in Central America after Belize – was one of the most intense insurgencies fought in the Central and South American region since the end of the Second World War. Backed by the Soviet Union and Cuba, the struggle was initiated on 15 October 1979 – largely from Nicaraguan soil – by the radical Farabundo Martí National Liberation Front (FMLN), a coalition or ‘umbrella organization’ of five socialist and communist guerrilla groups. Fearful of supporting an oppressive regime in San Salvador and media reports of ‘death squads’, this drew a quick but muted response from a United States headed by Jimmy Carter and a Democratic majority in Congress. However, once Ronald Reagan was elected into office, through various US intelligence bodies, the CIA especially, significant amounts of military hardware – including a variety of the same aircraft and helicopters originally deployed in Vietnam – were pumped into the country to counter Soviet efforts to support the rebels. 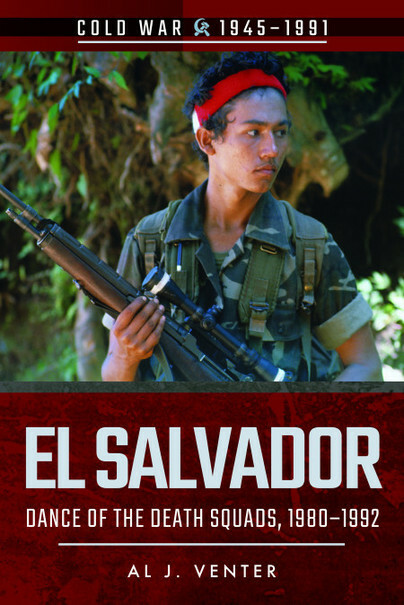 The Salvadorian security forces were eventually moulded into an effective counter-guerrilla force that was to force the rebels to the negotiating table. This little but fact-dense book is a well detailed and untold story of the cruel and long conflict that afflicted El Salvador during the eighties. Author Al J. Venter is quite effective in explaining the complex geopolitical situation of this troubled country and also the "behind the scenes" intricacies with the two Superpowers that complicated a yet very difficult situation. There are also many intriguing and interesting descriptions of the peculiarities of this war and some shots of the helos, planes and warriors. An original book very useful to uncover a not so treated conflict. The book is easy to read, Al tells the stories of Dana Drenkowski, a VietNam veteran who came into the conflict flying helicopters and ground attack jets in support of the government forces, and Harry Chaflin, a 2 tour Nam veteran who had served with Force Recon before being wounded. This is a fascinating account of what happened during the last 12 years of the civil war and the extreme violence that accompanied it. For some it will be a reminder of the dark years of conflict for others a subject worth investigating deeper and see how outside influences had far more influence than they should. This is an excellently researched and written book that will deepen your understanding of the history and actions that took place during that conflict.